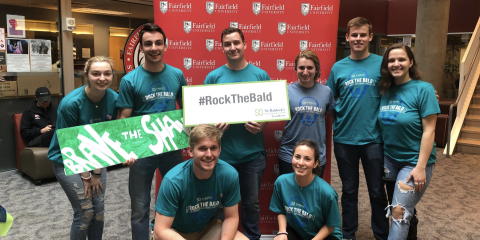 On Saturday, March 31, the Fairfield University Baseball team faced off against Niagara University in a doubleheader at Alumni Diamond. The Stags are beginning Metro Atlantic Athletic Conference action and these matchups are vital to securing a top seed in the MAAC tournament later in the season. 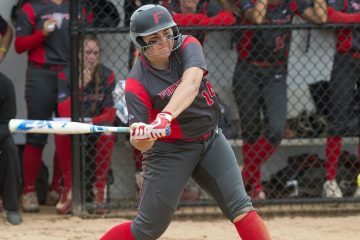 Heading into the doubleheader at 1-3 in MAAC play, Fairfield is looking to get on track and secure a sweep so they can take control. However, the Niagara Purple Eagles had other plans on Saturday. In the first three innings of the first game of the doubleheader, Niagara and Fairfield exchanged scoreless frames. John Signore ‘19 pitched 5.2 innings as he surrendered nine hits while giving up three earned runs. Even though he struck out eight batters, it was not the best day at the office for the starter. Cody Erickson ‘18 allowed three hits and yielded only one earned run over six innings for the Purple Eagles. Niagara collected 10 hits in the contest, which is twice as much as Fairfield’s five hits recorded. Infielder Greg Cullen ‘19 recorded three hits and scored twice for Niagara as he was the only player to record multiple hits from either team. 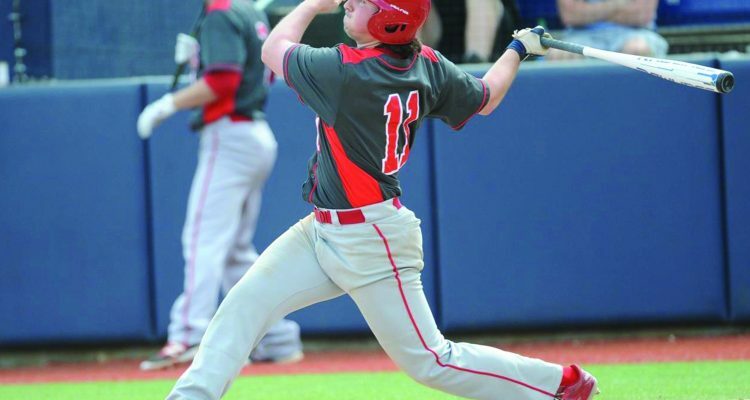 Catcher Kevin Radziewicz ‘18 did not record a hit, but he drove in two runs and scored once for Fairfield. He hit a sacrifice fly to drive in Eric Cerno ‘20 to make it a one-run contest. Unfortunately, the Stags dropped the first game of the doubleheader with a score of 6-5. 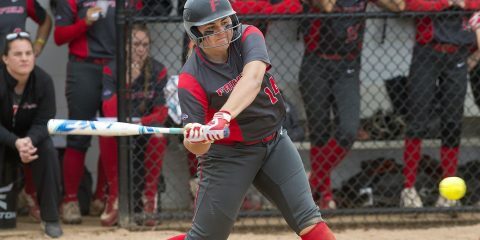 Fairfield wanted to get a victory in the second game in effort to record a split in the doubleheader facing Niagara. Josh Arnold ‘20 took the mound to give the Stags their best chance at a win. Despite five walks, Arnold only surrendered three earned runs over 6.2 innings while striking out four. For the Purple Eagles, Zachary Kolodziejski ‘18 had a short day on the mound, not even getting out of the opening inning. He yielded five runs, but none of those five runs were earned as a fault to his defense behind him. After the high-scoring first inning, both teams went idle until the top of the eighth where Dawson Bailey ‘21 evened up the score at 5-5 with two runs scoring on his double. Fairfield needed an answer to this blown save so they would not be swept on their home field. In the bottom of the ninth, the Stags received some late-inning heroics from an unlikely source, outfielder Dylan Reynolds ‘20. This walk-off home run was the first collegiate long ball for Reynolds and he could not have hit it at a better time. As a result, Fairfield won 6-5, the same score where they lost earlier in the day. This was a hard-fought victory as they try to build momentum for the upcoming games. 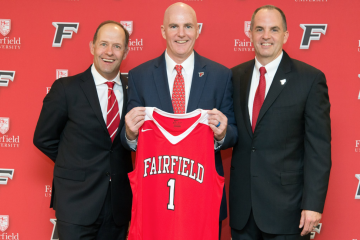 Fairfield’s game against University of Connecticut was cancelled due to inclement weather on Tuesday, so the Stags’ next opponent is Yale University on Wednesday, April 4 in New Haven, Conn. Over the weekend, Fairfield takes on Rider University on Saturday, April 7, which is another doubleheader at 12 p.m. and 3 p.m.